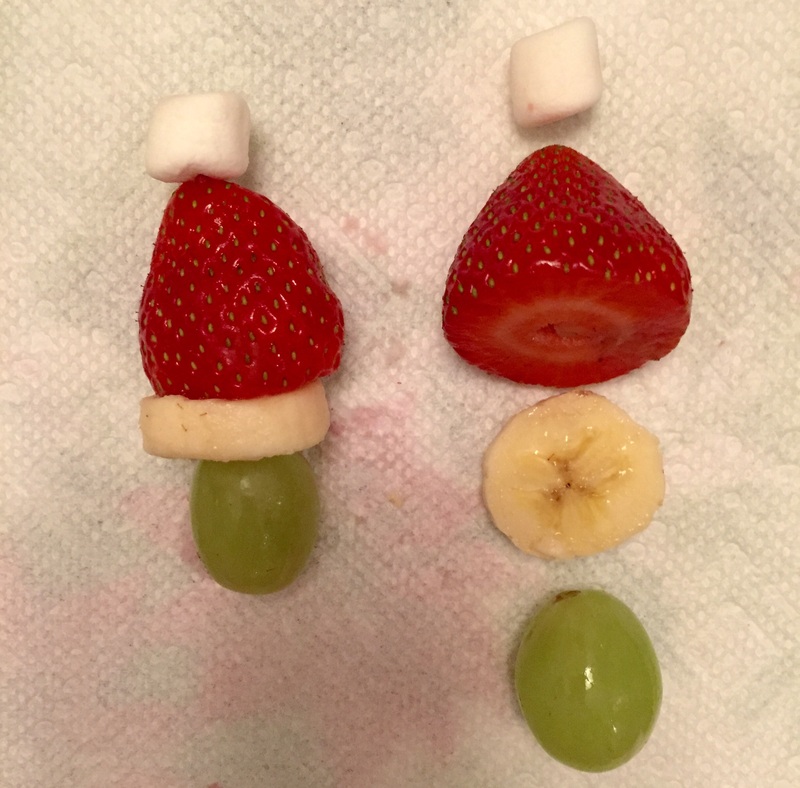 These little fruits on a toothpick went instantly at my Christmas party! They are so simple to make but look awesome! 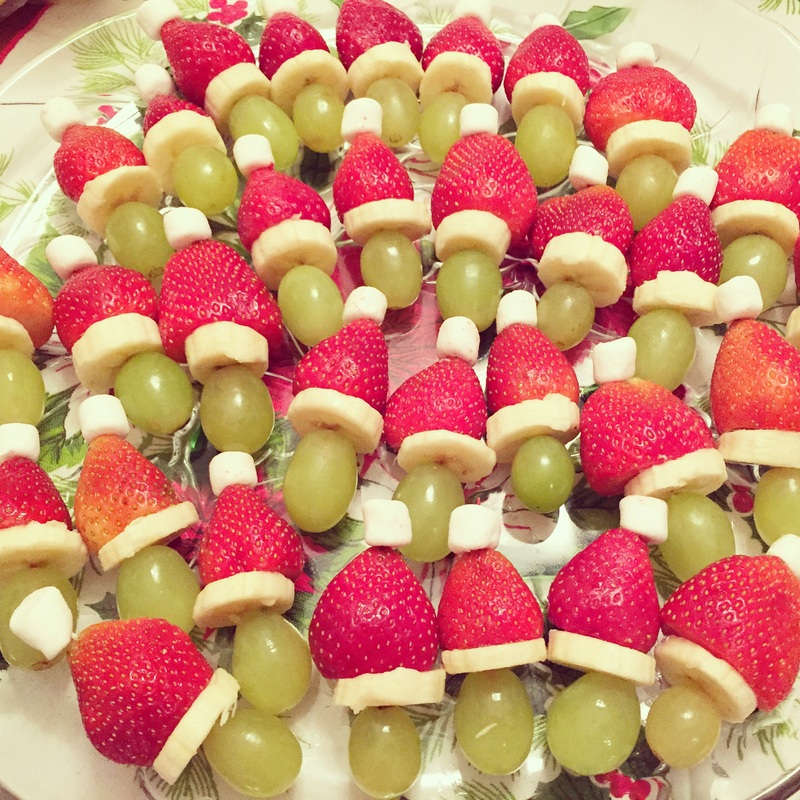 Its as easy as starting with the mini marshmallow on the top followed by the strawberry, banana and then the grape to finish it all off!! They’re actually so adorable! Healthy AND cute!